The auto rickshaw rider and his gang member were arrested. Robbers in Bayelsa State have turned auto rickshaw popularly referred to as Keke into getaway vehicles after broad day robbery. 'When the cats are out, the rats will turn a home into a football field' and this is the situation in some parts of Bayelsa barely two week after the general election. Residents are apprehensive. Everyone is losing trust for the next young man sitting close in an auto rickshaw popularly called Keke. People walking in the streets are afraid to take Keke to their destination. Will everyone walk to their places of business? Keke is one major means of transportation in the oil-rich state in southern Nigeria. By 11:50 a.m. on Sunday, Mbiama-Yenagoa Road was busy as commercial drivers picked and dropped their passengers. 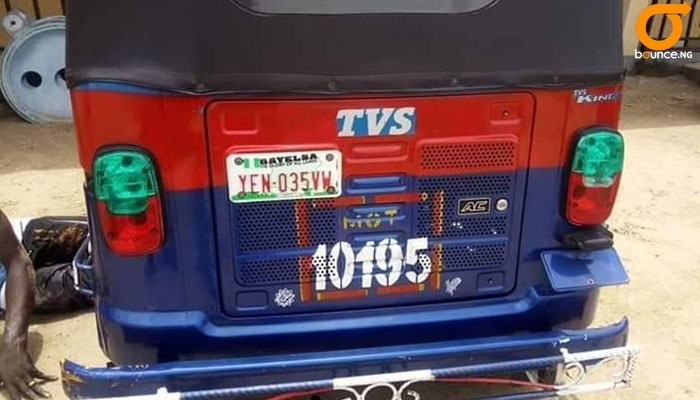 Suddenly, a tricycle with Ministry of Transportation (MOT) number, 10195 screeched to a halt along Ebi's Road in Biogbolo community, beside a young lady who was answering a phone call. Four armed men jumped out and surrendered her with their guns. "Oya! Give me the phones" they commanded. Terrified at the sight of the guns, the lady, who was identified as Kelly Effiong, surrendered her mobile phones to them. Some people who witnessed the attack, quickly informed some police officers on duty within the area. During the operation, the tricycle operator, who was later identified as Abubakar lliyasu, parked and waited patiently for them. As the police arrived, the gang of four men engaged them in gun battle and subsequent arrest of some members of the gang. An eye witness, Mr Asuquo Ekeni said two mobile phones were stolen from the victim. "They snatched two phones worth 47,500 Naira from her. "The useless robbers all had guns with which they intimidate their victims. "They rob and kill wherever and whenever they like," he said. When contacted, the police spokesman in the state, Mr Asinim Butswat, told Bounce News that they have identified some of their challenges in terms of combating crime in the state. "Regardless, we still have our challenges because of the high level of involvement of young adults in cultism." He stated that cultism was the reason residents experience some pockets of crime here and there. "A locally made pistol was recovered from one 19 year old Precious John who was shot in the leg. 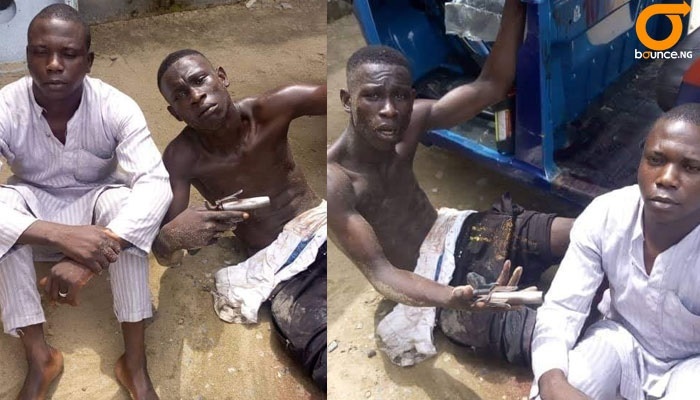 The spokesman further explained that the tricycle operator was in connivance with the robbers. "He conveyed them to the crime scene, saw them rob with guns and never raised alarm. "That makes him an accomplice and they will be charged for robbery. "Other suspects escaped with bullet wounds but we are on their trail," he assured. He advised parents to watch their children and cautioned the youths against yielding to peer pressure. 22Face & Annie Idibia: Is Social Media Destroying Marriages?